How Far is Keerthi Royal Palms? Shaped with ultra-modern luxuries of life and urban chic, Keerthi Royal Palms offers a dream home clubbed with vivid scenic beauty of the locality. Located at Electronic City of Bangalore it is fringed with the city’s popular Forum Mall and other prominent landmarks. Fascinating amenities provided at Keerthi Royal homes are children’s play area, swimming pool, clubhouse, jogging track, basketball court and tennis court that adds spice to the daily life. Plus, car parking, power backup, lift, security, rainwater harvesting, 2 wheeler parking, indoor games, RO plant, sewage treatment plant, three phase and borewell/ tanker are also available here. Residents living here can adore their leisure time by taking the advantage of conveniences like Landscaped Park, Barbeque, Sculpture Court, Palm Grove, Serene Water Body, Open Air Theater, Party Area and Senior Citizen Lounge. Keerthi Royal Palms is constructed in RCC framed structure with vitrified tile flooring for the rooms and anti-skid ceramic tile flooring for the bathrooms. The interiors are stunningly designed with teak wood frames and Masonite shutters, the windows are made of aluminium material with sliding glass doors. The kitchen in each flat features polished granite platform with stainless steel sink and drain board. Walls look neat and well finished with plastic emulsion paint for the inner and acrylic paint for the outer. To top it all, BWSSB and bore well provides ample amount of water supply to the residents. 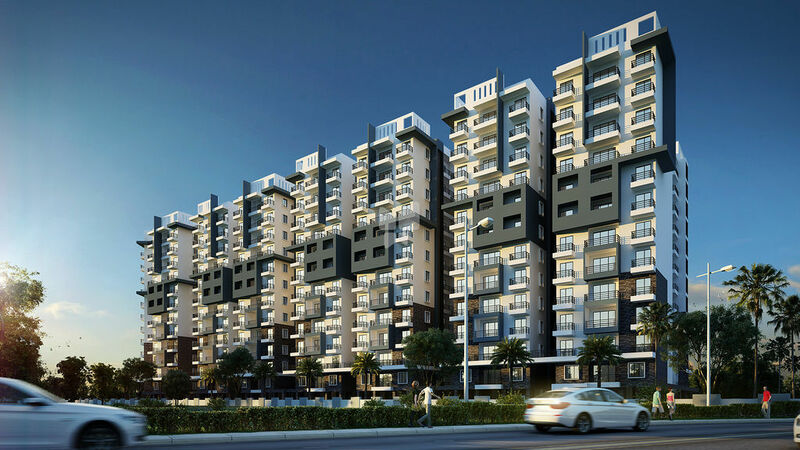 Electronic City is situated in the heart of the city of Bangalore. This locality connects areas like Neeladari Road and Bettabasanapura Road making it more accessible. Airport and Wipro Gate Bus stop is also locality nearby making it more convenient for commuting. From Koramangal it’s a 10 minutes’ drive along the Elevated Express Highway and 8-lane road from Silk Board. In addition, massive 320 acres of expansion of land on either side of the National Highway has been planned to become a home for technology. Daily life is more peaceful as retail stores, ATMs, restaurants, shopping malls, supermarkets, schools and colleges are located here. Living at Vertica gives a perfect balance between lifestyle and proximity. RCC framed structure with necessary footings and beams with cement block masonry and cement plastering. Vitrified tiles in living, dining, kitchen, and bedrooms. Anti-skid ceramic tiles in bathrooms and toilets. Teak-wood frames with Masonite shutters for main doors and bedrooms. Ceramic glazed tile dado up to 7 feet height. Wash basin in master bed bathroom with polished granite counter top. Good quality vitreous ceramic ware for water closets and wash basins. Chromium fitting of Jaquar of equivalent. Polished granite platform with stainless steel sink and drain board, dado up to 2’ height in ceramic tiles. Inner walls with plastic emulsion and outer walls with acrylic paint. Copper wires of Anchor make in concealed conduits with suitable points for power & lighting with modular switches. TV & telephone points in living room & master bedroom. Ample water supply through BWSSB and bore well. Underground and overhead tank of suitable capacity. 1 KV for each flat and additional back up for common hewing pumps and lifts. Keerthi Estates Pvt.Ltd started its journey in the year 1990, founded by Anil Kumar Reddy. Commitment to excellence, innovation, and prime quality are the guiding principle of Keerthi Estates. The company has specialized expertise in crafting homes across categories. From high-end luxury homes to modest residences to provide comfort to the families. The company has involved itself in providing landmarks in residential and commercial spaces in different parts of the Country at Hyderabad and Bengaluru. Till now the company has constructed 6 million Square feet and given happiness of own home to 4500 happy families. Keerthi Estates Pvt.Ltd efforts are to continue re-creating luxury in Indian spaces. 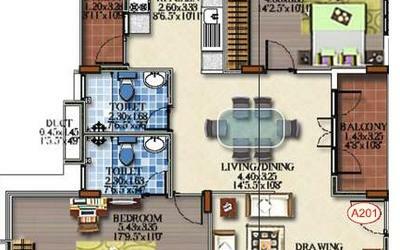 Keerthi Estates Pvt. Ltd has built many projects till now, some of them are Keerthi Richmond Villas, Keerthi Westwinds in Hyderabad. Keerthi Manor, Keerthi Krishna Viva, Keerthi Surya Shakti Towers, Keerthi Royal Palms in Bangalore and the list goes on. To be amongst the leading developers of the country. One of the most preferred by the customers and highly respected by its stake holders. Being a customer centric company, it is our mission to continuously delight customers with aesthetically designed, quality and comfortable, abodes and commercial spaces. On time, every time.